A German court has ruled that Motorola Mobility infringed a Microsoft patent which allows long text messages to be divided into parts and then reassembled by receiving handsets. It marks the first patent ruling against Google since it completed its takeover of Motorola. 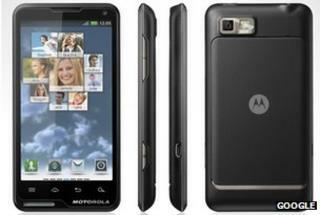 Microsoft can now demand a German sales ban of Motorola products, although it signalled it would prefer a licence fee. Google said it may appeal. Google's chief executive had previously said that his firm bought Motorola and its patents "to better protect Android from anti-competitive threats from Microsoft, Apple and other companies". Microsoft and Motorola have repeatedly clashed this month over a series of patent disputes. Motorola won the right to order the recall and destruction of Xbox 360 games consoles and Windows 7 system software in Germany at the start of May. A judge at the International Trade Commission (ITC) subsequently recommended there should also be a Xbox import and sales ban in the US. However, another Seattle judge has ordered Motorola to hold off from enforcing any such bans until it ruled on a related complaint. Microsoft won a separate patent victory against Motorola earlier this month when the ITC ruled that the handset maker's Android-based devices infringed an appointment scheduling patent owned by the Microsoft. The Windows software maker has already forced other firms including Samsung, HTC and others to pay it for the use of its innovations within Google's system software. The latest ruling centres on a European patent named "communicating multi-part messages between cellular devices using a standardised interface". It is designed to tackle the problem that SMS messages were designed to offer a maximum of 160 characters. It describes a way of "fragmenting" a longer text into smaller parts and then "reassembling" it within an application on the receiver's handset. Florian Mueller, a patent consultant who advises Microsoft, was at the ruling made at a court in Munich. He blogged that Google could find it difficult to work around the problem if it refuses to pay a licence fee. "Since this patent covers operating system-level functionality, the modifications 'Googlerola' would have to make to Android... would lead to significant complications," he wrote . "Android apps that make use of Android's messaging layer would have to be rewritten, and some functionality that Android used to provide to app developers would have to be implemented by the affected applications themselves." A statement from Google said: "We expect a written decision from the court on 1 June and upon review, will explore all options including appeal."